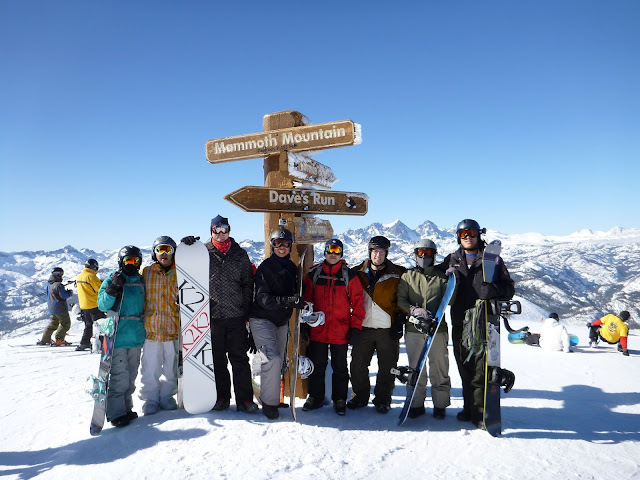 With Summer just around the corner, we can’t begin it without a story of our annual trip to Mammoth. Compared to the last two years, the 2011-2012 snow season has been really unfavorable. For the two months leading up to this trip, not a single drop of rain came down in Southern California. This is in stark contrast to the last two years of epic snow conditions left by El Niño and La Niña weather patterns. 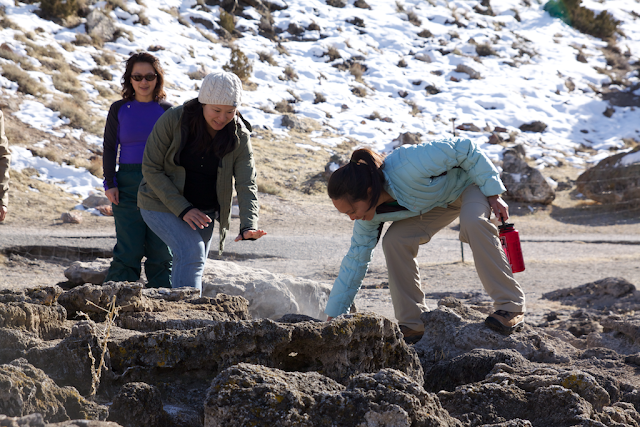 Weeks leading up to this trip, many of those who paid their Mammoth dues were wondering if it would be worth going. Fortunately, one week before our trip, a fast moving storm came in leaving blizzard like conditions up in Mammoth. Approximately 12-15” of fresh powder came down, leaving us all feeling relieved that all of our waiting didn’t wasn’t in vain. Those who arrived early to hit the slopes on Thursday and Friday got to experience zero-line chairlift rides up to straight the slopes. We were grateful for just a new snow pack, however, the days leading up to our Mammoth trip were filled with high temperatures, leaving hard-packed and icy conditions on the slopes. 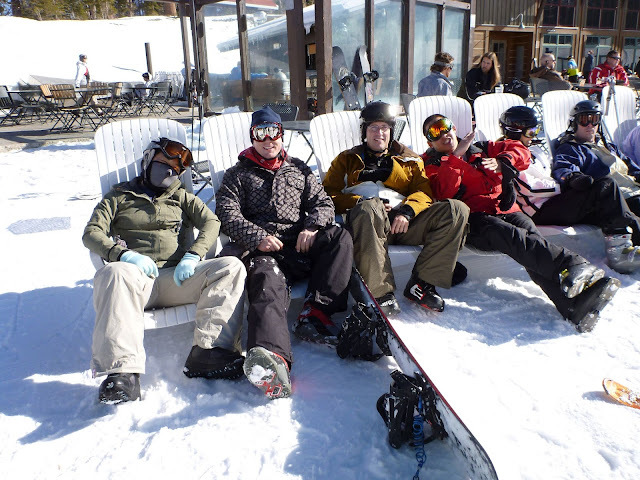 It was no surprise that a few sustained some injuries over the weekend. 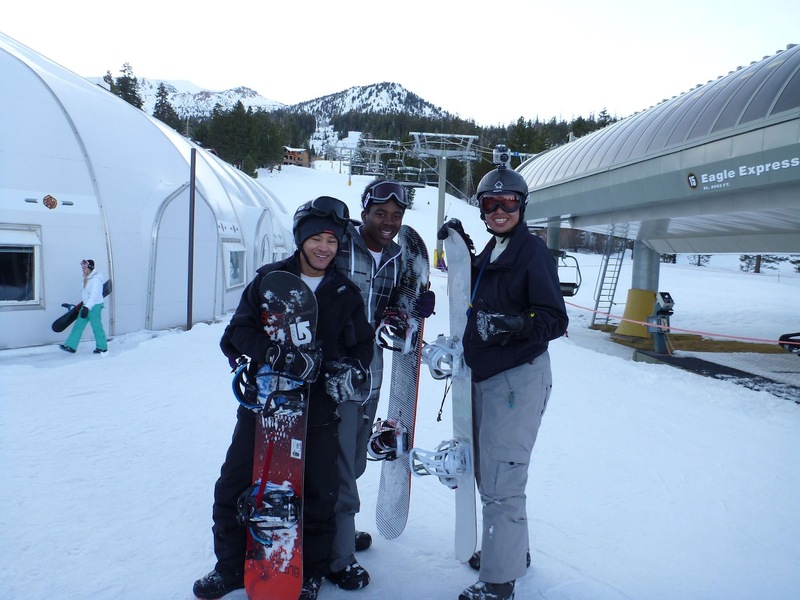 On Thursday, Claire, K-make and myself on the fast track to the top of the slopes. Space Dragons staking our claim the top of Mammoth. K-mak discovers the elusive Curtis and Eric. 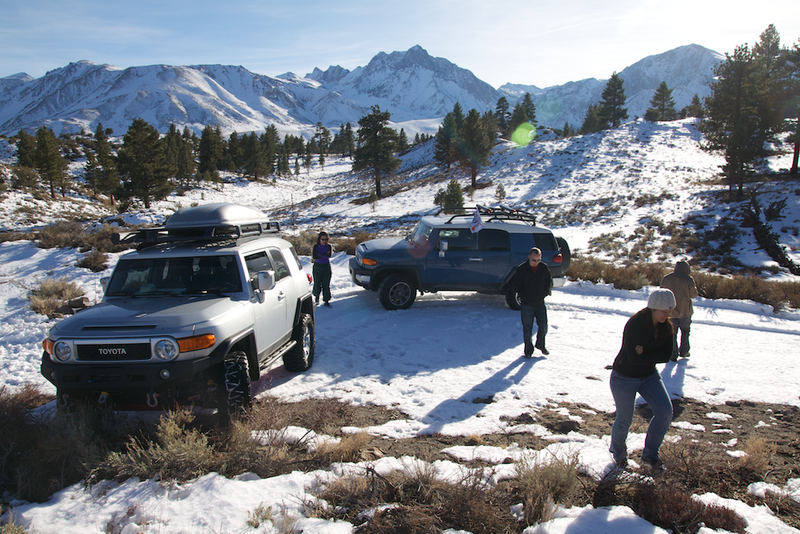 While some decided to keep boarding on Saturday, Charlie and I opted to take a trip off the beaten path and do a little off-roading around the Mammoth Lakes area. We went on a quest to try to find some hot springs that we could possibly take a dip in. Janet, Mayana, Jim, Claire and Zina rode passenger in our two FJ Cruisers. Thanks to Charlie’s navigation and 4x4ing advice, I was able to take my untested FJ on trails it has never encountered before. Unfortunately, finding a hot spring that was safe enough to relax in was difficult. 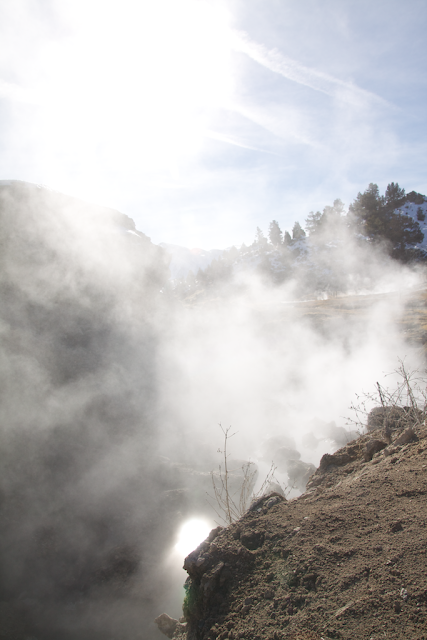 Most of the hot springs had warning signs that recommended that nobody go in due to the possibility of being burned. We stayed clear but still had fun with the off-road exploration. Mayana and Janet trying to help push Charlie’s FJ out of some thick snow. The group taking a break to check out the scenery. 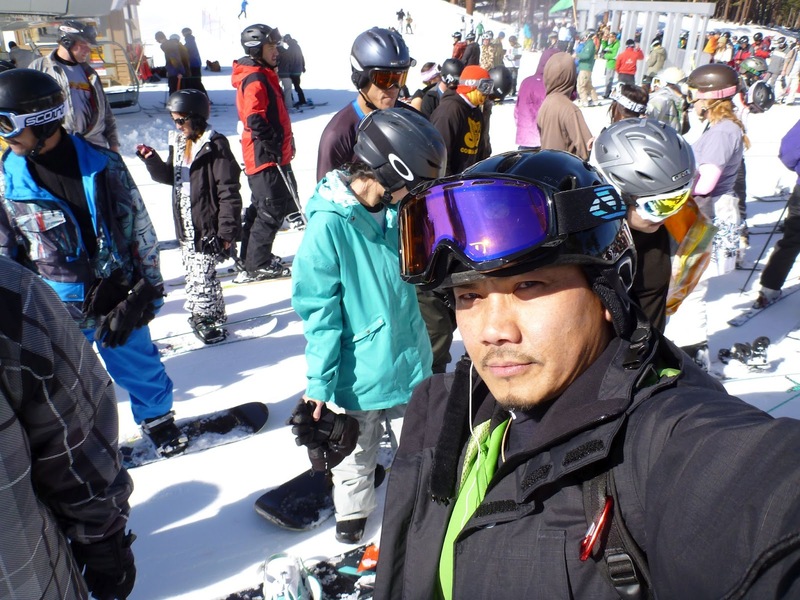 Off the slopes we all enjoyed our beautiful 6 bedroom house that Steve Cao helped find. The house was fully equipped with ample parking space, a grand entranceway where we were able to stash the skis and snowboards, gourmet kitchen, a pool table, hot tub (a.k.a. giant man stew pot), enormous wood burning fireplace and big screen TV with a Nintendo Wii. 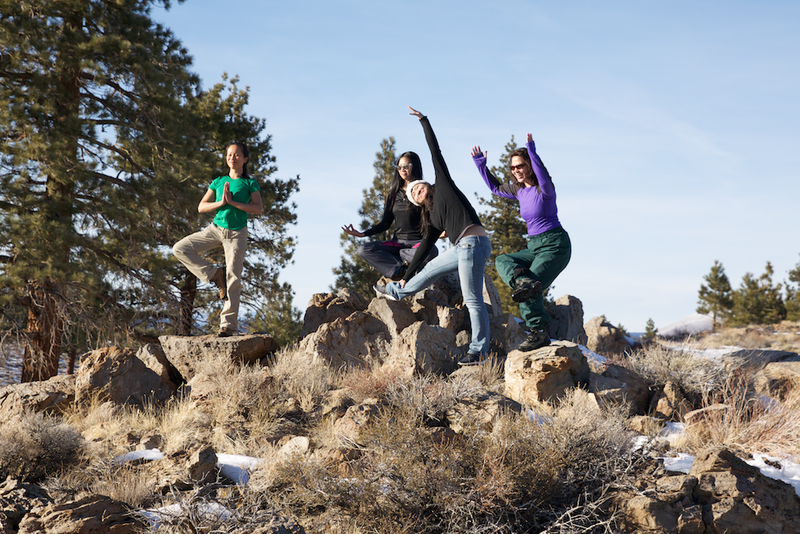 Space Ripple delivered when it came to eating well during the Mammoth trip. Jim was the head chef and he made hamburgers for the first night, chili for the second and spaghetti for the last night. A few others helped chip in on preparing food. Michael and Grace from Ripple made some really tasty chocolate fudge cake. 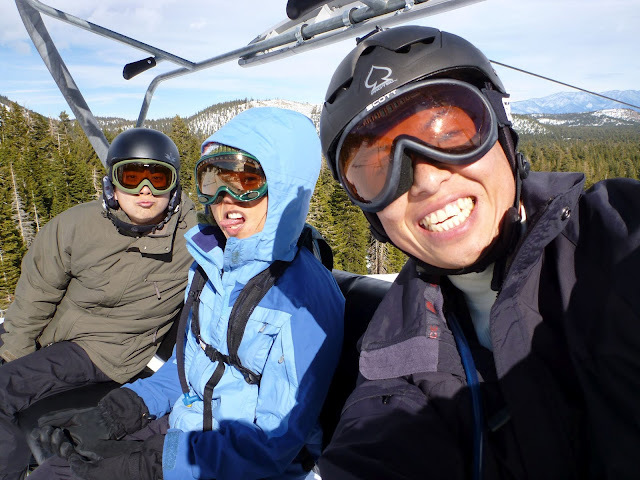 Robert helped bake some cookies and Janet slammed together some spam masubis for the skiers/snowboards to enjoy during the day. 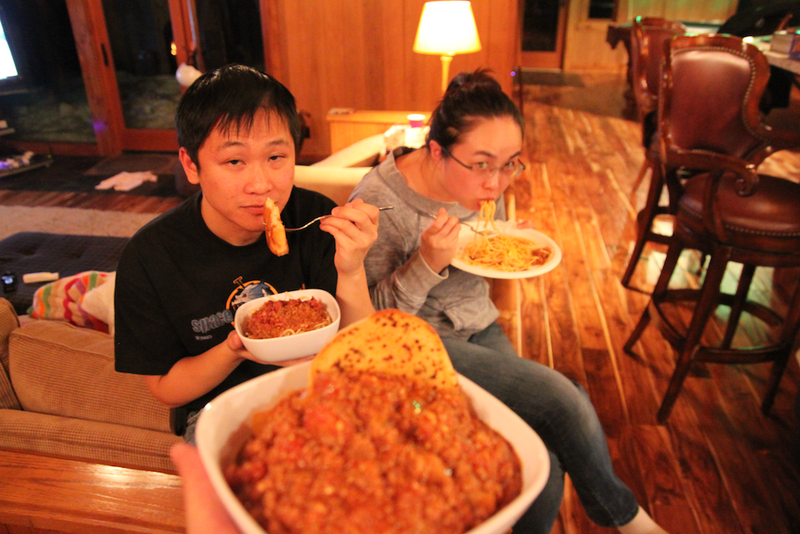 Galen, Christine and Zina teamed up on preparing some garlic bread. 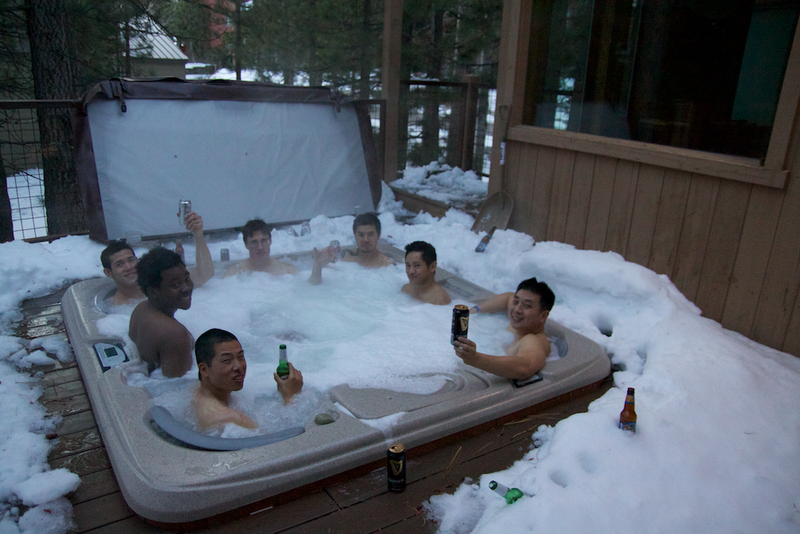 There was always something for everyone to do during the down time we had off the slopes. K-mak and Steve shared their snowboarding headcam videos, while some played Wii Sports on the big screen. 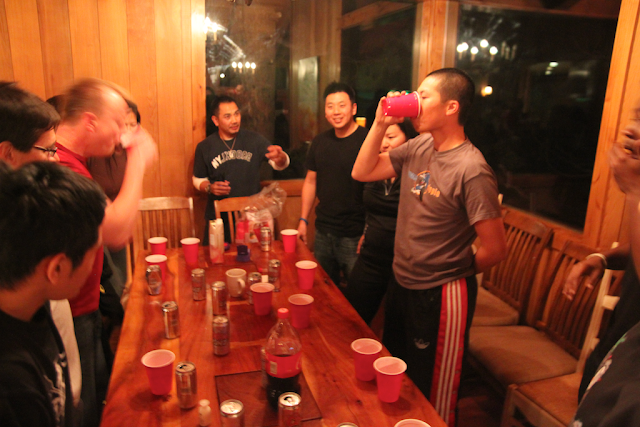 Each night was filled with games ranging from taboo to poker. 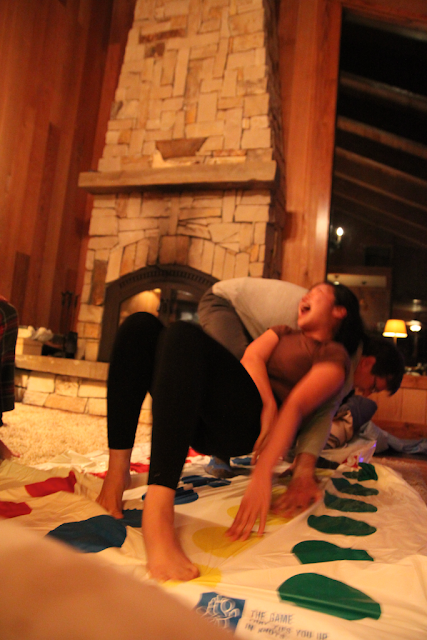 For the last night we ended the trip with a boat race (yes, I failed again) and full contact Twister. 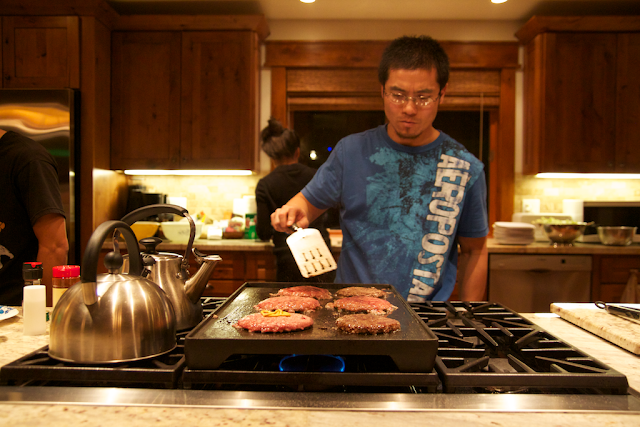 Jim manning the griddle for hamburgers on the Thursday night. 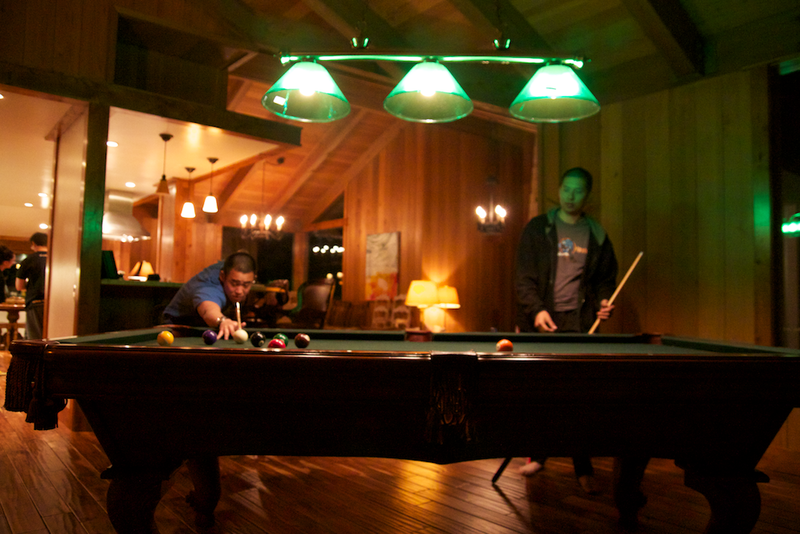 Henry and K-mak enjoying a game of pool. K-mak, Curtis, Steve, Robert, Jim, Eric and I keeping the man stew tradition alive. Just like paddling... what a full day of boarding will do to you. 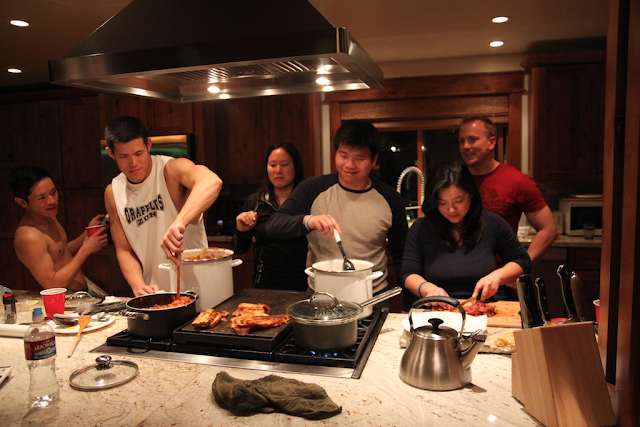 Everyone who helped out preparing spaghetti for the last night dinner. No trip to Mammoth would be complete without a boat race. The last night ended with a game of full contact Twister.